I know quite a few people that are intimidated by cooking, and therefore just don't do it. Well I have all the answers to your problems. Just call me Super Woman. I'm participating in a giveaway (#cookingplanit) that is being hosted in conjunction with a cool new meal planning website, Cooking Planit. Now, keep in mind, all of the opinions that I write on this blog are my own. 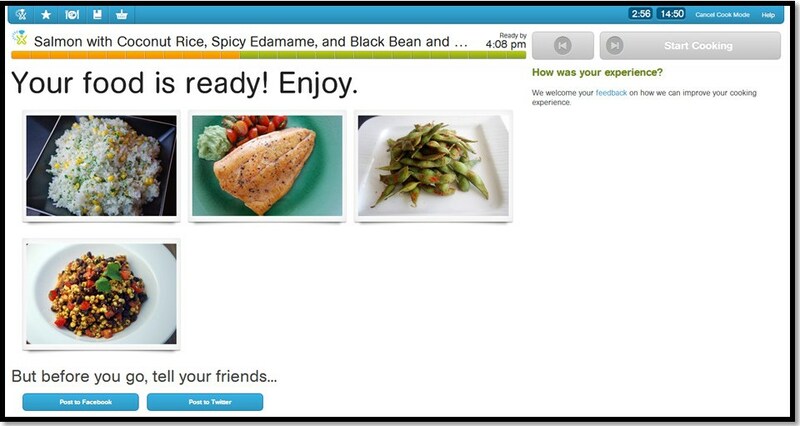 So you can believe me when I say this cooking website is really cool and helpful, especially for home cooks that are just learning to cook, looking to save some time in the kitchen and grocery store, or are just looking for some new recipes. I mean, I made this incredible Spicy Edamame last night for a snack, and it only took me 10 minutes. Come on - how easy is that! 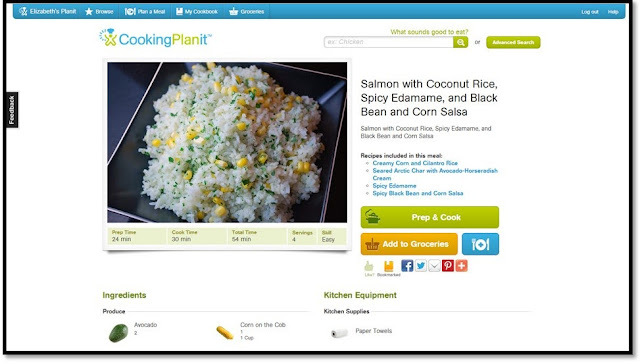 In order to enter this giveaway, you'll need to create a free account either at the Cooking Planit website or download the free version of the iphone/ipad app. Once you've done that, you're off to the races! I like to start by going to "Advanced Search" in the upper right-hand corner and pick the things your'e in the mood for. There were so many delicious options, I went a little crazy and picked 3: Salmon with Coconut Rice, Spicy Edamame, and Black Bean and Corn Salsa. I saved them all to my Cookbook. One of the coolest things about Cooking Planit is that it will organize and print a grocery list for you. 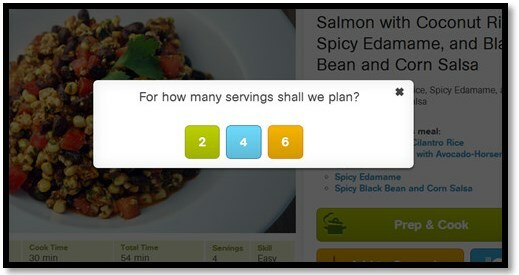 Just add the meal(s) you want to make to your Groceries and select how many servings you want to make. 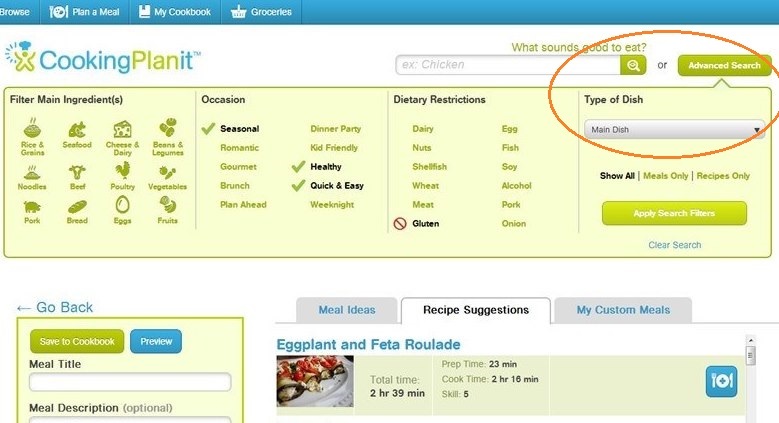 You can add or delete items from your grocery list if you want. The best part... everything is organized by grocery store section, so you won't end up circling the grocery store 3 times because you keep forgetting things alllll the way back in the produce section! When you're ready to start cooking, just hit the "Prep & Cook" button. 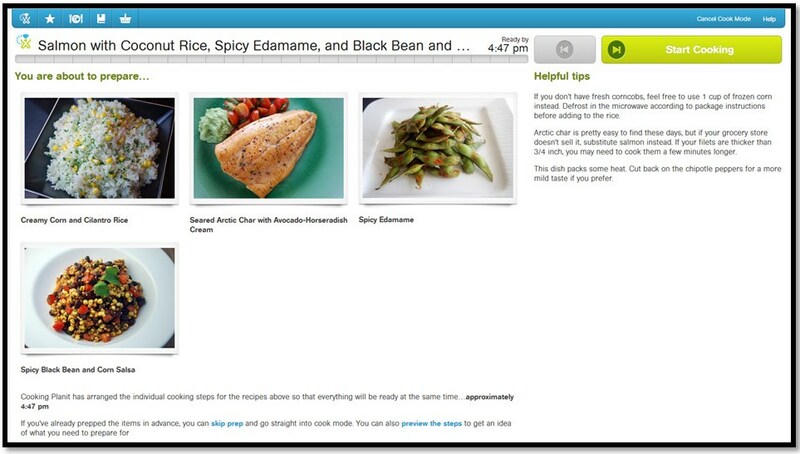 The app will explain how to prepare all of the items, step by step (and with timers! ), so that everything is ready to eat at the same time. Once all the steps are complete, you're ready to eat! Hooray for you! Now go check out the blogs below for your chance to win a new set of T-fal cookware sponsored by Cooking Planit.